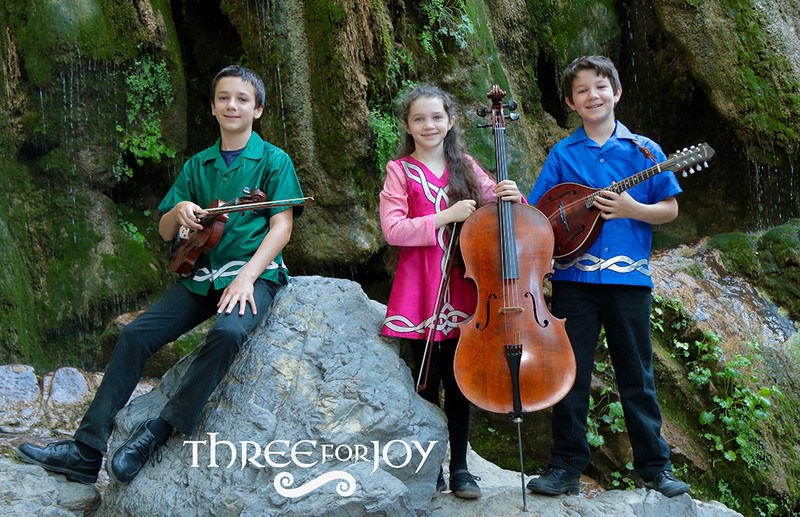 Three for Joy members are siblings Dominic (age 15), Joseph (13), and Angela Rose (12) Padula. Repertoire ranges from traditional tunes—Scottish, Irish and Cape Breton—to contemporary compositions in the Celtic style, presented with compelling arrangements and unique textures of melody, harmony and rhythm. Typically described as “stunning,” these accomplished, young musicians enthrall audiences of all ages.